85/15 poly/cotton lab coats, along with lab coats made from a poly/cotton fabric blend in different proportions, probably constitute the majority of all lab coats made by the medical apparel industry. There are some very specific advantages to polyester that explain why it is so prevalent in the production of apparel in general and the medical apparel industry in particular. Those reasons include its: low cost, availability, strength, light weight, and its resistance to shrinking and stretching. There are also disadvantages, such as: its inability to breathe, its unnatural, uncomfortable feeling against the skin, a tendency to shine, the difficulty in removing stains, and its status as not environmentally friendly. The reason polyester is so often blended with cotton, as in an 85/15 poly/cotton lab coat, is to overcome, or at least offset to some degree, some of those disadvantages. Cotton, a natural fiber, is best known for its ability to breathe. Cotton is also soft to the touch, durable, and environmentally friendly. Its principal disadvantage is its comparatively high cost. 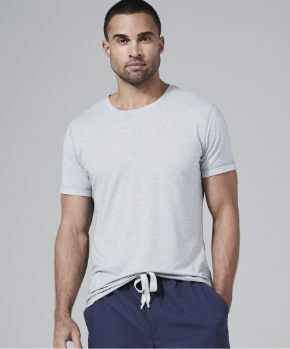 Given that clothing is worn next to the skin, breathability, softness and comfort are important features. In fact cotton is considered hypoallergenic, while polyester may cause skin irritation for some people. 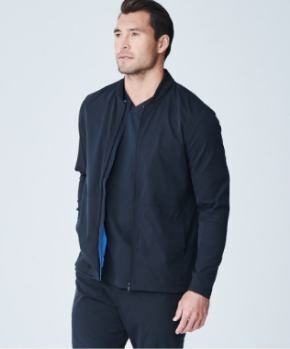 When one considers the number of hours per day an 85/15 poly/cotton lab coat may be worn and the potentially stressful environment it is worn within, for many, breathability, softness, and comfort become priority issues necessitating the blending of polyester with cotton – the more cotton, the better. When all these factors are understood, the prevalence of 85/15 poly/cotton lab coats is understandable. However there is another way to approach the challenges associated with producing the most comfortable lab coat possible. 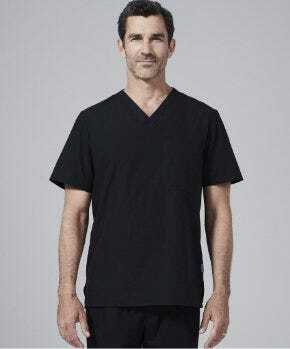 One medical apparel company, Medelita, www.medelita.com has created a proprietary, high denier, 100% cotton certified performance fabric for its lab coats that possesses virtually all of the positive characteristics of both cotton and polyester. 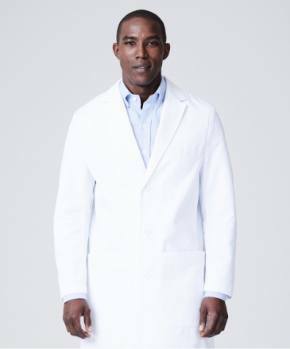 Medelita has created separate, sophisticated, hand-sewn lab coat collections for men and for women using its crisp white, subtly textured, breathable, soft, 100% cotton fabric that’s durable, soil, stain, and fluid resistant – so fluid and stain resistant that blood literally rolls right off. 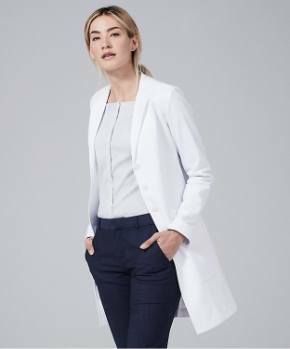 Treated with Advanced Dual Action Teflon® fabric soil and stain protector, Medelita lab coats offer fashion, fit, fabrics and functionality that are unmatched in the medical apparel industry. They are so confident in the quality of their lab coats they back them with their Professional Courtesy Guarantee, good for One Year from the date of purchase. No other medical apparel company we know of offers anything comparable. A few minutes at the Medelita website reading the reviews of your peers will attest to how very special these Medelita fabrics and lab coats are. So if breathability, softness and comfort are important considerations in the selection of your next lab coat, use this information to help guide your decision.